Free Shipping Included! 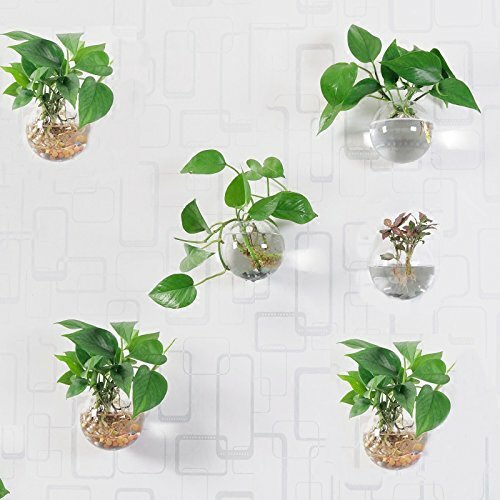 Pack of 6 Glass Planters Wall Hanging Planters Round Glass Plant Pots Hanging Air Plant Pots Flower Vase Air Plant Terrariums Wall Hanging Plant Container, 12 cm Diameter by Orimina at Tulips Orchids. MPN: 43237-2. Hurry! Limited time offer. Offer valid only while supplies last. Orimina Store wraps these glass pots with both foam and box to avoid any damage. Each glass pot is kept in a private foam with a nail inside. The package includes: 6 glass hanging planters with nails. Size: 12 cm diameter for each glass ball air plant pot. The hole on the back of the glass planter allow you to hang it on the wall with the white small nail without making any harm on your wall. The wall hanging planter is a perfect container for your air plants, water plants and any other plant accessories. If you have any questions about this product by Orimina, contact us by completing and submitting the form below. If you are looking for a specif part number, please include it with your message.